Brisbane, the capital city of Australia’s Sunshine State, is just one of many of Queensland’s cities to house a land based casino along with plenty of clubs and pubs offering pokie machines. When you’re not indulging in retail therapy along the many shops of The City, Fortitude Valley or Paddington, dining at any of the cities lively restaurants or lapping it up in the South Bank Parklands, a casual punt at the casino is a popular pastime for locals and tourists alike. We explain more about playing the pokies at Brisbane’s Treasury Casino, Jupiter’s Hotel Casino in the Gold Coast, as well as explore the convenient alterative of playing pokies online from the comfort of home. If you’re new to the idea of online pokies, check out our list of the best, most trusted online casinos and the sign-up bonuses they’re offering to new players. Aussies can receive matched deposits, free credits, free spins and free entry to VIP and loyalty programs, while enjoying the thrill of playing online for real money. Find out more here. The Treasury Casino is located in Brisbane’s heritage listed Treasury Building and Lands Administration Building, both which house some rich history. These 19th century buildings feature striking Edwardian-Baroque architecture and provide a sophisticated backdrop for Brisbane’s hottest gaming and accommodation venue. The Treasury is operated by Star Entertainment Group and along with the casino it also offers a five-star hotel, six restaurants, a nightclub and five bars, making it a premium part of Brisbane’s night-life. The Treasury Casino is open 24 hours, seven days a week excluding Good Friday, ANZAC Day and Christmas Day, on which it trades on restricted hours. If you’re not within easy reach of Brisbane’s CBD or would rather avoid the dress codes and expensive drink prices, consider playing pokies online at Mucho Vegas, a trusted online casino that offers hundreds of real money pokies. Just an hours drive out of Brisbane, on the Gold Coast you’ll find Jupiters Hotel & Casino near the sunny waters of Broadbeach. It was Queensland’s first ever casino and continues to be a wildly popular destination for both tourists and locals. The expansive casino complex is spread over seven acres, housing a hotel, eight bars, seven restaurants, a theatre, ballroom, spa, and even a monorail which connects the complex with the Oasis Shopping Centre across the road. Like The Treasury, Jupiters is operated by the Star Entertainment Group. Jupiters Casino houses over 1600 electronic pokie machines, including classics as well as the latest and greatest. You’ll find many of the same popular titles here as at The Treasury, including Lightning Cash, Golden Dollars, Dinomight and Double Shot, with new machines being introduced regularly. Jupiters also offers some of NSW hottest pokies games, like Fa Fa Fa, Cash Express and Players Choice Superstar (all three versions). Jupiters Casino is open 24 hours a day, seven days a week. Live too far away from the Gold Coast, or prefer a change of pace from gambling in a land based casino? Why not give online pokies at Slots Million a go, where you can try for free in practice mode first, and if you move on to sign up for a real money account you’ll receive up to $100 in bonus money when depositing for the first time. Brisbane and the Gold Coast are hugely popular tourist destinations, attracting visitors from all over the world, especially from Asia. The casinos are heavily frequented, but given the love that Queenslanders and tourists have for gambling, pokies are offered at many of the hotels, clubs and pubs around the state. Whether you’re in South Brisbane, East Brisbane, Surfers Paradise or Burleigh Heads you’ll never have to venture far to find a gaming venue for a place to have a cold beer and throw a few coins in the pokies. If you’re heading further north in Queensland, check out where to play pokies in Cairns. 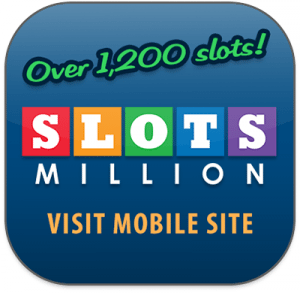 Slots Million – This vibrant instant-play casino is dedicated 100% to the pokies, offering over 1250 games from all the best online software developers including big names like Microgaming, NetEnt, QuickSpin, BetSoft and NYX Gaming as well as tonnes of smaller, boutique gaming studios. Newbies can get up to $100 when signing up for a real money account, register here for your bonus. House of Jack – Enjoy a large collection of pokies from leading game studios available for instant-play on both desktop and mobile, with plenty of exclusive promotional offers available for registered players. New players can take advantage of up to $450 in welcome bonuses plus 100 free spins to use on Play’n Go pokies by signing up here. Each of these recommended casinos is protected by a high level of digital SSL (Secure Socket Layer) encryption to ensure player safety at all times. New players who register for an account via our page are eligible for some fabulous welcome bonuses, like free spins and matched deposit bonuses. If you’re not sure if playing online is right for you, these casinos also offer the option of free play in practice mode, so you can see what the games are all about to risking any of your own money. We recommend checking out Raging Bull Casino, our top-rated casino site for players from United States, which has some excellent welcome bonuses available for new players along with hundreds of real money pokies to choose from.